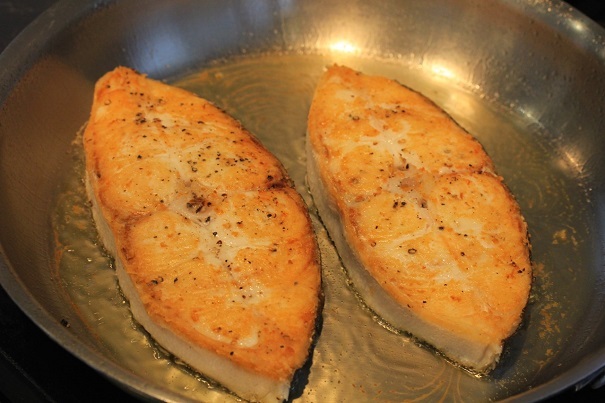 Heat 3 tablespoons of olive oil in a frying pan and cook the fish for three minutes on each side until gold but not cooked through. Set aside on another plate and cover to keep warm. Add the rest of the olive oil and cook the shallots over medium heat until they’re soft, and add the garlic and cook for another minute. 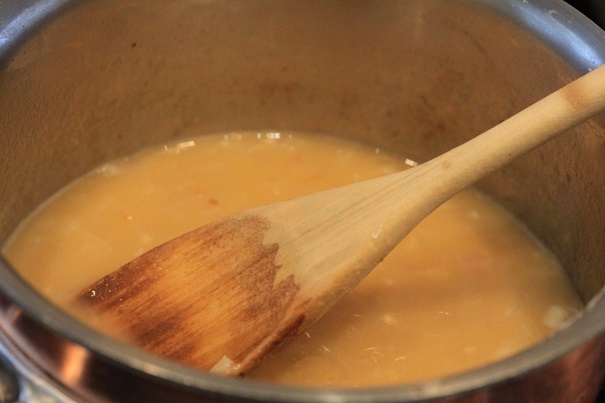 Add the fish sauce, fish stock, wine, and sherry to the pan and bring to a boil. Reduce liquid by a third. 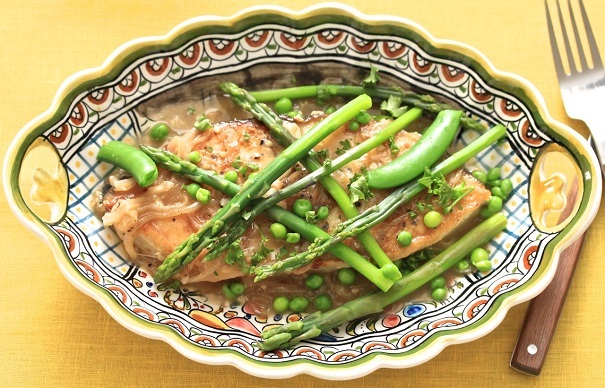 In a separate saucepan cook the asparagus tips and peas for two to three minutes until tender. Run cold water over vegetables to stop cooking. Lower the heat on the stock and add the fish. 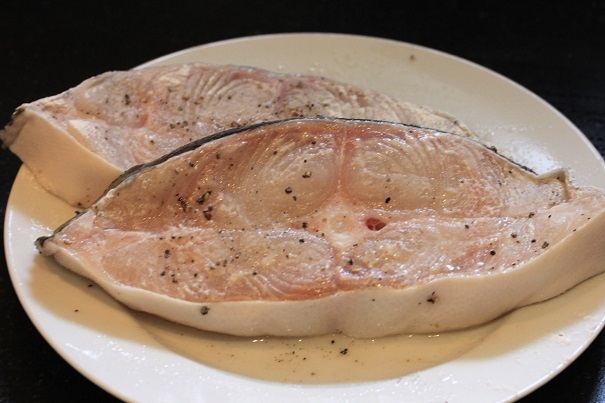 Cook fish through – about five more minutes. Add asparagus and peas, heat through and scatter parsley.